From new training shoes and weightlifting belts to protein chocolate and paleo snacks, deciding on what crossfit gift to buy can get quite stressful. No panic, Velites Sport is here to help. Read through our list of 50 Christmas gift ideas for crossfit athletes. Besides MetCons and Nanos, there are plenty of other training brands which entered the functional fitness market in the past few years. Your choice really depends on the personal preferences. For someone who likes gymnastics, this is a beautiful Christmas gift. Buy the wooden gymnastic rings as they are much more comfortable to work with. During Holidays most boxes close their doors and they only way to do training is to use the equipment you have at home. Get a jump rope and tackle on WODs like Annie. 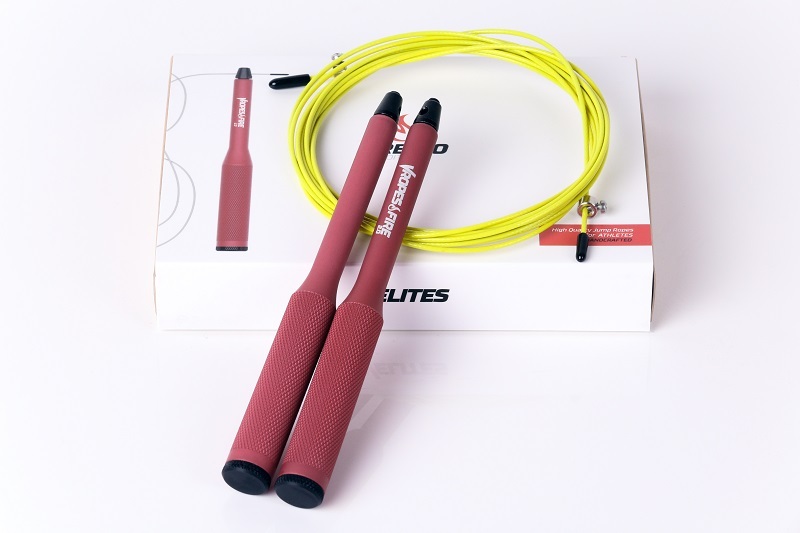 If you are looking for a high quality speed rope, The Vropes Fire 2.0 is the most advanced jump rope for crossfit athletes on the market. If you are looking for a simple gift, smartphone cases are the choice to go with. Make sure you buy the ones with “Call FRAN for a good time…” or similar crossfit wording. Don’t forget about the younger generation. They expect something. If you want to raise a crossfitter, plastics barbells are the way to start. The strongmen black leather or the golden wonder woman, nowadays belts come in all colours and designs. Not any kind of jewellery, but crossfit kind of jewellery. 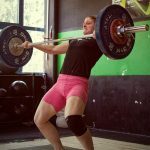 Tiny kettebells, barbells and motivational quotes “she lifts”. Get a multifunctional training bag, meaning this bag also has a space for Tupperware and protein shaker, dirty clothes and cosmetics. Also, it needs to store at least two pairs of trainers, a few t-shirts, leggings, shorts and trousers. For crossfitters, wristbands are a fashion statement. The offer is huge and the choice depends on the fashion sense your better half, or a friend, has. Performing Olympic lifts is much safer and more efficient with solid weightlifting shoes. If you are buying a gift for someone who has just enrolled into the world of iron and metal, this is the perfect gift. Recovery is not just sleeping and eating, but also massaging and working on mobility. Foam roller is a perfect gift for crossfitters who love to spend time in front of TV while also enjoying the pain of myofascial release. There are several magazines on the market, offering insights into the world of crossfit, Olympic weightlifting, powerlifting and fitness in general. Hand care is part of training or let’s say recovery. Ripped hands mean lower quality training and inefficient performance. Velites hand repairing balm is made entirely out of natural ingredients without any use of chemicals. Because women never have enough of those and their training wardrobe needs to be updated with new leggings on regular basis. And because in winter men also love to wear training tights. Buy a box or a basket and load it with all kinds of paleo snacks. From beef jerky and bulletproof coffee beans to paleo protein bars and coconut oil, the choice is big. To measure the progress, training journal is a must-have. You don’t have to buy the boring black edition, especially when there are so many crossfit-like looking journals available across different online shops. Kettlebells come very in handy for the days you can’t make it to the gym. If you want to be creative, but the one that looks like a skull, demon or gorilla. The tickets haven’t been released yet, but the dates are out which means plane tickets can already be purchased. Rope can damage the skin to the point it becomes too painful to continue. To prevent the burns, professional athletes use shin guards on regular basis. Always hungry and no time to cook? Check out the local healthy meal delivery offer. You can order food for the whole week ahead, making sure your fridge won’t get empty. Warm up for the workout, cool down after it. 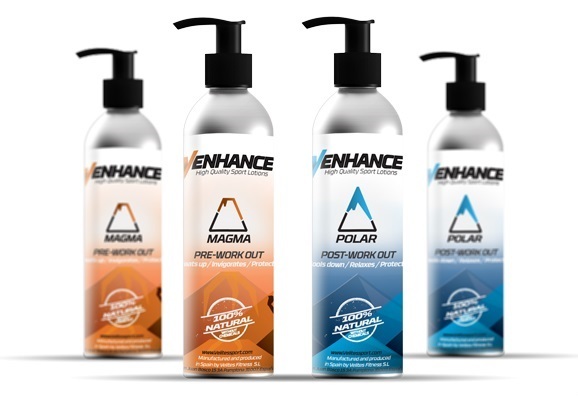 Heat or cold effect, lotions come in handy to keep your muscle warm or cool depending on the phase of the training. Do you want to make fun of a friend? Buy them a shirt full of crossfit or training sarcasm. And before you do, make sure he or she understands the joke. This is the most beautiful gift you can give to somebody you love. Full year of training, growth and fun. EMS or electrical muscle stimulation has become extremely popular among athletes in terms of enhancing a recovery. CrossFit has recently released mugs for all avid crossfitters. If you are a true crossfit enthusiast that is a must have item for you. Smartphone mount takes away the pain of filming a qualifier workout by allowing you to place the camera practically anywhere in the box you want. When you are a true crossfit athlete, sock game has to be on point. We are talking about those huge packages like a 5 kg container (at least). Who wouldn’t be surprised or scared by that kind of a gift? You never know when this piece of equipment will be urgent to use. Sometimes gloves are the best way to protect the hands from being torn. Winter can be quite a challenge for our immune system. Any kind of vitamins can help you fight the cold temperatures, viruses and the people around being sick. Best gift for the crossfitters who struggle with lactose digestion or don’t like the (traditional) whey. Beef proteins are stomach friendly and come with a pretty good taste. Choose chocolate. If your friends already have gymnastic rings, kettlebells and parallels, then abmat is the next thing to buy to upgrade the home gym. Search for the upcoming events nearby your city and buy a spot at any of the upcoming Olympic Weightlifting seminars. Me encanta este final de video L?vE ???? Besides the random colours like black or red, you can now also get them with a skull print or in girly pink/purple colours. For all fit people who can’t imagine a Sunday morning without a coffee and a good book first. Let’s say you want your better half know she is a wonder woman, and also you want her to look good on the lifting platform. Bubble bath is one of the best ways to relax after a hard training session. Buy the ones which also speed up muscle recovery. Yes it does exist. You can know buy chocolate which has a higher protein value. For all crossfit and chocolate addicts. Black or army green for men, purple or orange for women. Headband is necessary for the Murph-like sweaty types of MetCon workouts. Find a key chain which comes in pair as a broken heart and has “swolemate” text engraved on both pieces. Give it to your favourite bro. Not just for the boys, some girls also love to wear a trucker hat, especially if they come with a strong message “beast mode”. Why not? Apart from the crossfit box membership, this is a second best gift. It is also the first step towards the making of a home gym. So you don’t have to put off a wedding ring while lifting a barbell or pulling up on the bar. Yes, like 1 kg of bacon for your favourite paleo crossfitter. Face it; at one point in life every crossfitter will need it. Besides a weekly massage is almost necessary if you train at higher intensity. To motivate a friend to take mobility and stretching seriously. Or to help them get the first pull up. Get to find out the right size and you are about to buy the best gift for her. Stick to the girly colours. Cold weather is here, but that’s no reason to stay inside. With a good outdoor gear, training can still be done outside. Warm, winter training leggings will help with that. Because why not. Every crossfitter’s house needs that.